This is the kind of place that is perfect for chill-out, night-out, gathering or party because with all under one roof, there is have no more hassle of moving between places. 7TNINE Bar & Kitchen is a two-storey corner lot that is spacious to event host parties, functions or events. Plus the place is also easily accessible through public transport such as Monorail or just a short drive within the city center, around the corner of Jalan Sultan Ismail and AKLEH Highway. While the hustling bustling streets of KL continues flow, I calmly sipping my favourite drinks and enjoying the magnificent view of iconic skyscrapers KL Twin Towers and KL Tower. This place is so relaxing and perfect for happy hour and it’s just a stone throw away distance from KL Twin Towers. 7TNINE Fine Dining Restaurant is located on the ground floor and serves timeless delicate North Indian, Pakistani and Western Cuisines. As you know, I love Indian cuisines, so this is one of the place that I can bring my guests for western food and I can enjoy my mutton biryani. Let’s eat! The aromatic and crispy deep fried flour with onions, potatoes, cauliflower and spinach served with mint sauce. Slightly spicy and dipped into the mint sauce for added flavours. Minced chicken on a bed of nachos chips with cheddar cheese, pinto beans, guacamole, tomato salsa, sour cream and jalapeno pepper. Easy finger food that goes well with any beer and drinks. One of my favourite Indian food, aromatic basmati rice cooked with spices and mutton, served with dall and raita yoghurt with onion and cucumber. For those who wish to have fish and a healthier choice. Fresh marinated chunky salmon in Kyoto sauce grilled to perfection served with mashed potatoes and veggies. Generous portion of mixed grill marinated fish, chicken, and mutton grilled to perfection in one platter and served with BBQ Spicy Sauce. This is perfect for sharing and it goes with briyani rice or naan. You can also opt for Full portion at RM79.79. Rich custard base capped with a layer of hard caramel and served with a scoop of vanilla ice cream. Here is their Bar & Music Lounge on the first flooor, the best remedy for a long frenzy day, drop by to unwind your mind & soul with best food, drinks and certainly some great music. It’s a cozy and speakeasy family Music Lounge, whereby they play 80's & 90's English music, R&B and occasionally, the best of Bollywood on Friday and Saturday night. Live band is on Thursday and Sunday. The lounge area is spacious and they have salsa every Wednesday night. 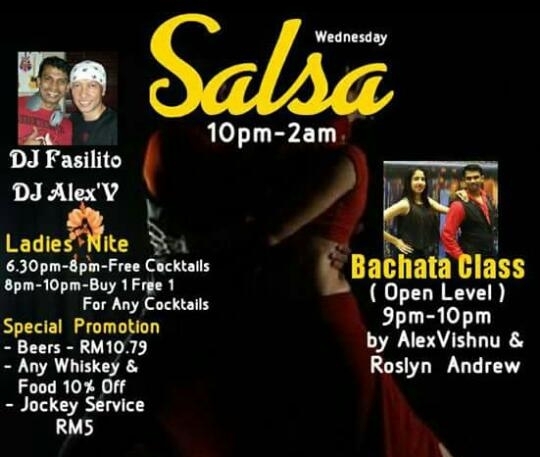 Come with your dancing shoes to enjoy the dance and couple of cocktails plus don’t miss out 7TNine Special "Bull Frog". Psttt… happy hours starts at 11am daily. Overall the well decorated 7TNINE Bar & Music Lounge with exquisite furniture and light settings is also perfect for private parties, functions and event. The Open Terrace deck with cozy lounge area is perfect for those who prefer some some fresh air and chats while enjoying the KL view. Be it Reds, United, Gunners or Blues, our Sports Bar going to be euphoric every time the score changes. Not a match night? no worries… 7TNINE has Snooker, Pool and Darts to keep you and your buddies entertained beside the music, food and drinks. 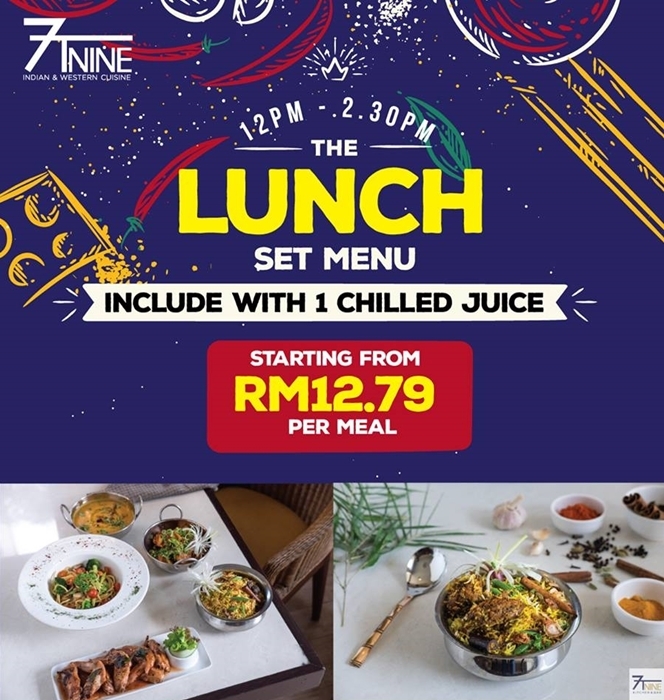 Currently 7TNINE Bar & Kitchen is have set lunch promo starting from RM12.79 only for a main course with 1 chilled juice from 12noon to 2.30pm for a limited time. If you are around that area do drop by for lunch. Every evening they have Flaming BBQ Menu such as Mutton Roti Rolls, Chicken Wings, Chicken Tikka, Mutton Boti, Fish Tikka, Paneer Tikka, Chicken Stay, Chicken Bihari, BBQ Platter and many more to choose. 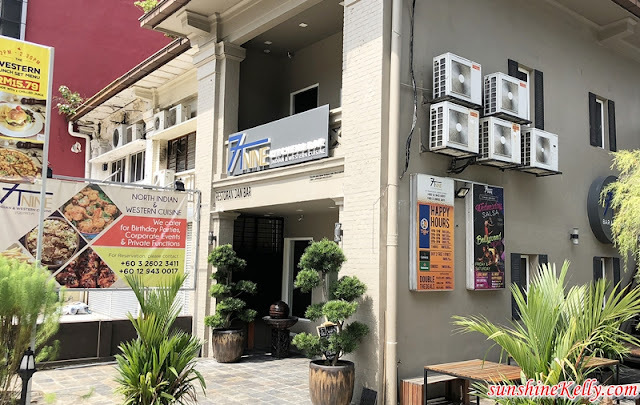 Overall, 7TNINE Bar & Kitchen 4-in-1 Fine Dining & Entertainment with fine Dining Restaurant, Music Lounge, Sports Bar & Beer Garden with Open Air Terrace is one of hub that I want chill-out and have a good meal with friends and family. 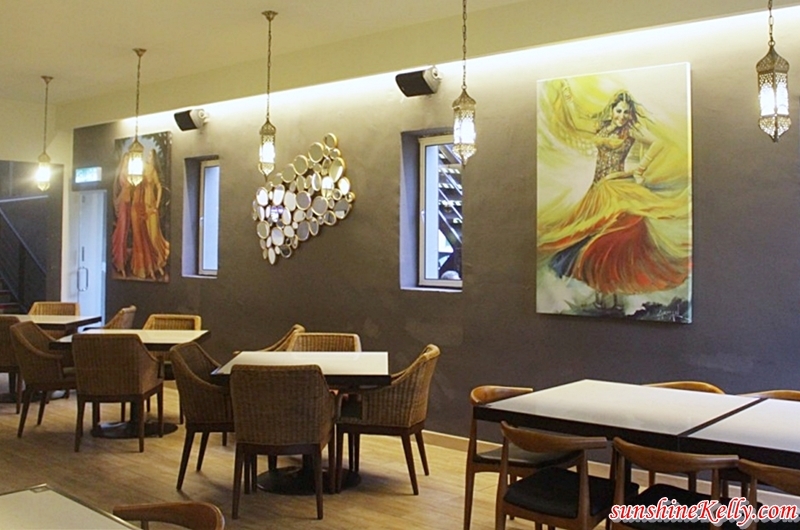 The location is very strategic, food is great, ambience is exciting and price wise is also very reasonable. what a nice bar! i like the concept it has. And the foods it offers, according to your image, look very promising! would love to try this place someday! i like the environment coz its cozy with minimal decoration, the food everything looks tempting and make me hungry now..i have to put this 7tnine in my wishlist..maybe can celebrate my other half birthday here..
Bila malam memang best lepak di area open macam ni. Dining hall pun simple dan kemas. Mutton Beriyani tu nampak sedap sangat lah! Special letak dalam belanga macam Indian styles. The food looks really delicious! The cocktails is so unique! It’s really close to my place, might go there for dinner someday. Wow I like to see the shape of the glasses used tu is very unique and interesting. Nanchos is the most I love and tasty it hehehehe later Kelly can bring me eat here ok.
Nampak best and menari sangat dengan open concept macam ni. Decoration pon simple tapi cantik. Hidangan pon nampak sedap semuanya. the place looks so cozy and i love deco -simple and unique. and the best part is...the varieties of foods..
New place to go!! lolz.. i love to eat and drink in one place and of course together with live music entertainment. this place just perfect for me!! Nice bar with hispter style decoration. It looks comfy to hang out with family and friends. the Chicken Nachos is so tempting. What a lovely restaurant, I'll love to pay 7TNINE Bar & Kitchen a visit, my husband and I will surely enjoy the food and drinks there! i love the location and deco set nampak ala-ala hipster. and the food look good too but don't know the taste but I lebih adore tengok you why makan banyak still in good fit eh... so jelly darling..
Restoren yang cantik dan ada konsep yang sangat best! Menu pun nampak semua berbaloi dan berpatutan harganya. Maybe someday I should try this. The lunch menu look good and affordable. I like the mutton briyani and chicken nachos. Yum.. Yum..